Chickens - it's where it all started at Lazy Acres Farm. After raising a dozen laying hens back in 2010, we were bitten with the chicken bug. 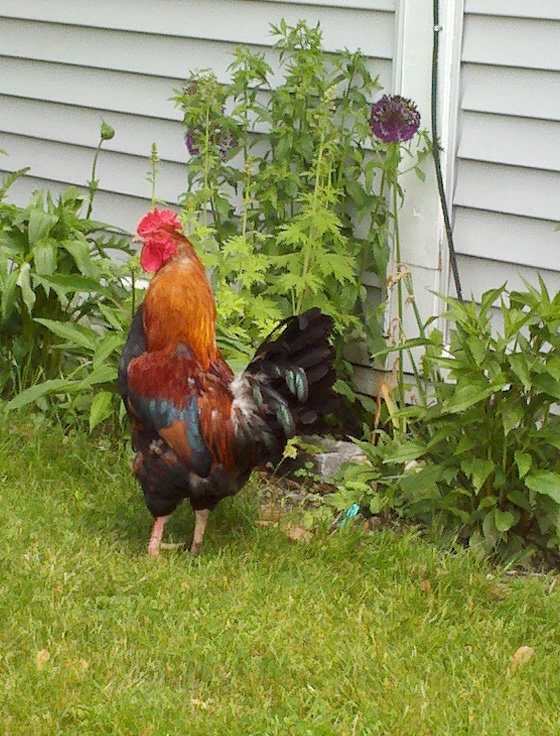 We maintain a flock of laying hens and an occasional rooster. Free range eggs are available spring through fall as the girls take much of the winter off from laying. We also raise pastured broiler chickens. They are raised humanely, and spend their days eating all sorts of bugs, grubs, and lots of fresh grass, garden scraps, and grain. Our chickens are processed at a local, State-inspected slaughterhouse and delivered to you vacuum sealed and ready for the freezer.